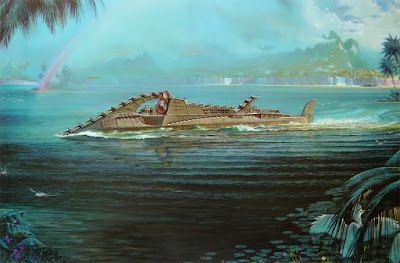 Let me propose the "captain nemo float out" it is basicly building a "better yacht" that can stay in open ocean for long periods of time. Yachts can not stay in open ocean for long periods of time as the wave action makes staying there quite uncomfortable. Yachts are also built from materials that impose "light building" as principal design feature. This goes bad with basic seasteading needs like big tank volumes and store of big amounts of goods like food, spare parts, tools, fuel, water and similar. In general a yacht is built for living in a marina and make short trips of no more than a few days crossing open water in favorable weather conditions. 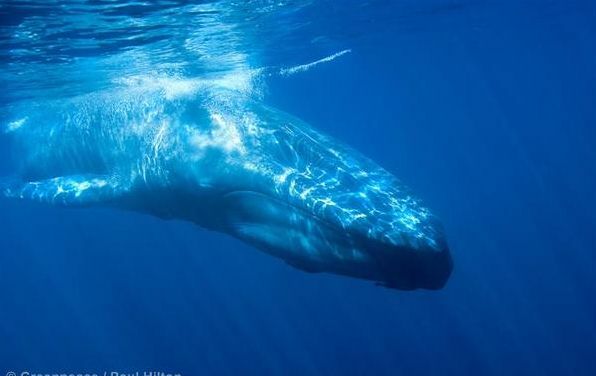 We propose (and already tested) a vehicle that is the technical equivlent of a whale. A very heavy almost completly submerged body wandering worldwide at a speed of 7 knots with incredible low energy needs, capeable to live on resouces and opportunities that come up seasonally at thousands of miles distance. This vehicle would be about "apartment size" hold a adequate living space for a single family be equally comfortable in harbor or at open sea, avoiding wave movements by cruising most of the time in snorkel mode. It would provide "leave coffee cup on the table comfort" even in the worst imaginable sea conditions. 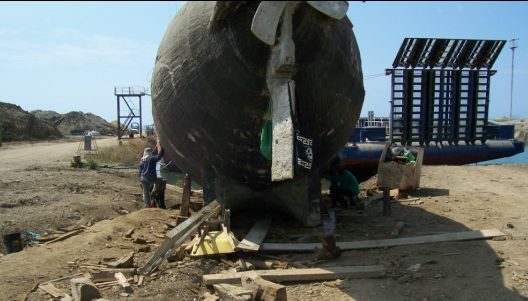 It would be the "workhorse" of a new generation of ocean explorers and settlers who engage in activities like open water pod fishfarming, tuna rearing, wreck salvage, scuba tourism, mineral explotation, scientific data collection, tourism and similar. This workhorse would be almost completly independent of infrastructure. 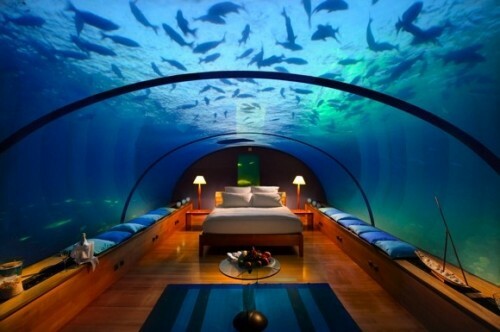 It would allow to have a lifestyle that is somewhere halfway between a yachtie, the Moken, and Captain Nemo. It allows to participate in existing yachting ambients, use existing harbor and boating infrastructure when available. But on the long run it would work best as mobile complement of oceanic cities as proposed by seasteading. 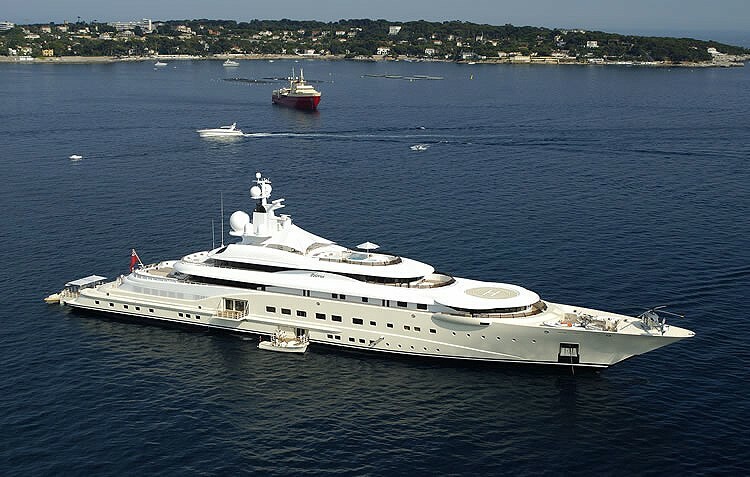 Business Tycoons like Roman Abramovich show the way – they run global business empires from a yacht as headquarter making their operations country independent, interference independent, free of ruling, taxing, and redtaping of any regulation entity on the planet. 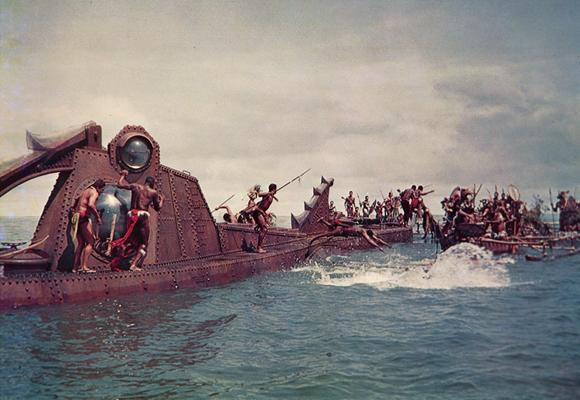 Going oceanic like Captain Nemo is the ultimate tool to asure interference freedom for an individual. 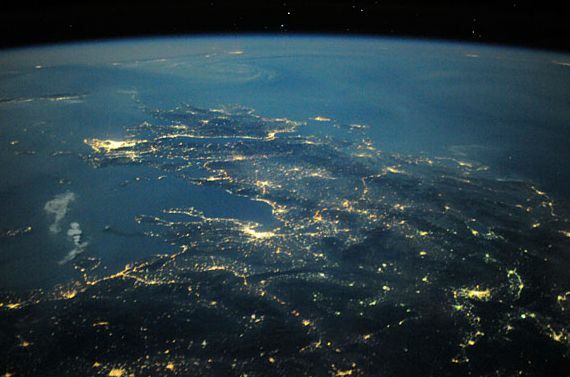 Doing Business worldwide, staying outside of “jurisdiction” of anybody all the time. Moving from opportunity to opportunity on planetary scale. Mobilis in Mobili. (Captain Nemo’s Motto). From sea you can approch any important city on the planet and ask your local partners to take a 5 minute tender for a meeting in your floating headquarters. Eventually all business ventures and business leaders will go for “interference freedom” and discover “going oceanic” as the best and most feasible solution available. Who is doing it , who is planning it, who is already there... "ocean business development key player network"
We live in a world where half of all money is offshore already, tycoons like Abramovic and Branson are "offshoring" their private life and tax declarations, Google is offshoring data centers to get rid of state interference in their business, it can be easyly predicted that at the end all buisness all money all data, will be taken out of interference of politics and states and in one form or another be "offshored". The final point of the "offshoring movement" is Captain Nemo, doing business worldwide from a yacht that governments and other interferers could not even spot and interfere if they wanted. Eclipse is still visible to everybody every time it goes for a port, it can still be boarded it can still be grounded by authorities in a port. 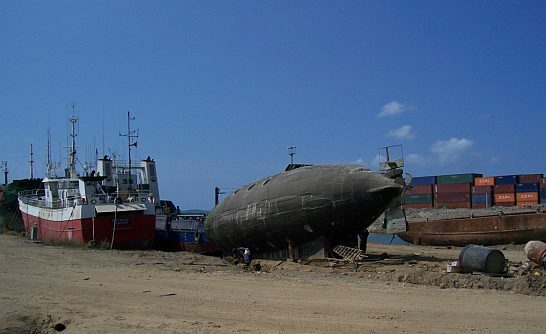 Nautilus is already out of this dilemma - it can not be spotted, it can not be boarded, it can not be grounded in any reasonably possible and feasible operation. 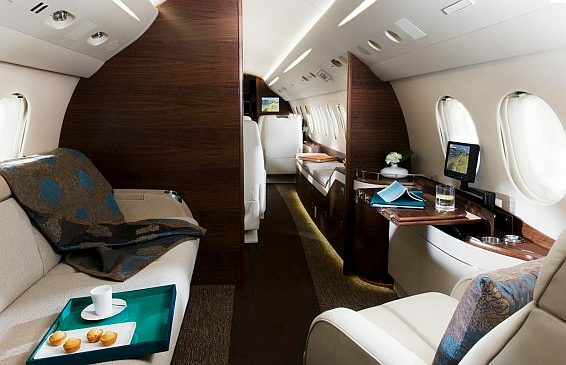 It converts the personal living space bubble of a individual into something that is private and off radar in the same way as a numbered offshore account gets money "off radar" and invisible. The whole idea of offshoring has many times been discredited as a "safe haven for criminal activity" - but this is mere negative propaganda of the proponents of the nanny and big brother state. Privacy is a basic right and going off radar is just implementing your rights in the real world. It is not even new - the people who went to the new world as pioneers "offshored" their religion and business from interference in Europe. Today there is no land left to do that - for going off radar you best go oceanic technology makes it feasible. 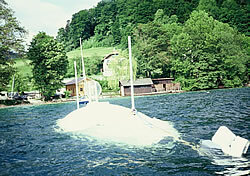 Submarine yacht prototype 10 x 2,4 m / 20 tons built in Austira Tirol 1994 by Wilfried Ellmer - tested and dived for many years in a ongoing long term experiment 20 years in the water - no hull maintenace required. 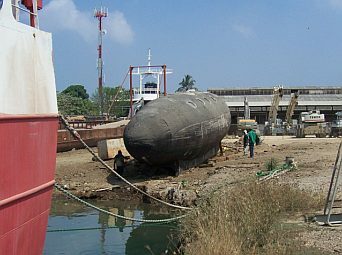 This is a Submarine Yacht of 20m x 4,6m / 200 tons Navtech Shipyard Cartagena Colombia - builder Wilfried Ellmer - a upgrade of the prototype above, same hull geometry volum increase factor 10. 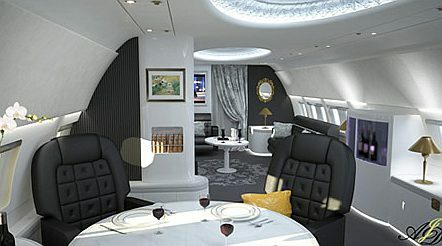 Room and space equivalent of a 68 squaremeter city apartment, capeable of ocean crossing voyages in complete comfort. 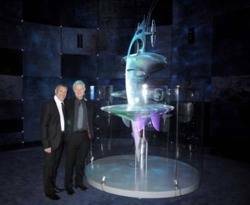 You can say: "building the nautilus?" - have been there have done that. - What we are looking for now is a further upgrade to something like designer fantasy Migaloo for a real world owner in a real world project. 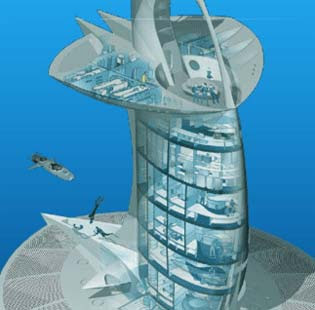 Ocean colonization and Captain Nemo lifstyle are to becoming a reality. We have built up and tested the technology to make it happen. 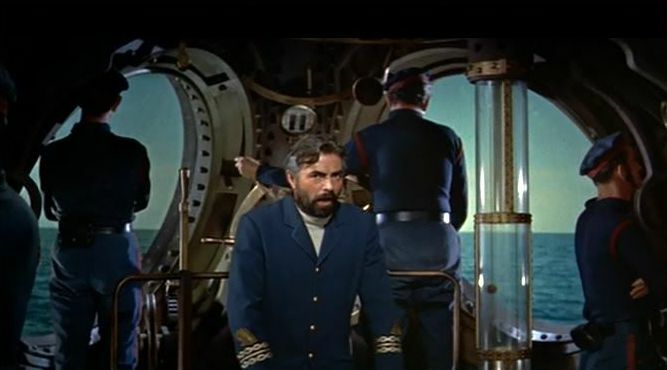 Going Captain Nemo is the ultimate tool to asure interference freedom for an individual. Doing Business worldwide, staying outside of "jurisdiction" of anybody all the time. Moving from opportunity to opportunity on planetary scale. Mobilis in Mobili. You can approach any important business center on the planet from the sea without crossing any border and apply to anybodies "visa requirements". I like the idea how deep you must submerge in a storm to be protected from wave damage? What are the propulsion energy requirements for such a concept ? To have a realistic perception of the propulsion for a oceanic sistem that operates submerged look at the propulsion of ocean fish farming cages the thruster setup size operation envelope. All this is VERY different to a surface ship or a military submarine. That would be a kind of living space capsule capeable to cruise in any ocean condition and sea state, with a extremly low propulsion requirement, how would the handling of such a boat be? - Would it need a special kind of seamenship? its not really hard-- you would do much the same as a surface yacht...there are a few other things you would learn--but-not much. I plan on using standard cameras and fish finders or mayube cheap off the shelf depth finders.. need a strobe at night on the mast...military sunmariners have always looked at surface vessels as inferior...and they truly are compared to the low power requirements of a below surface vessel. they dont cost any more than a surface yacht.. 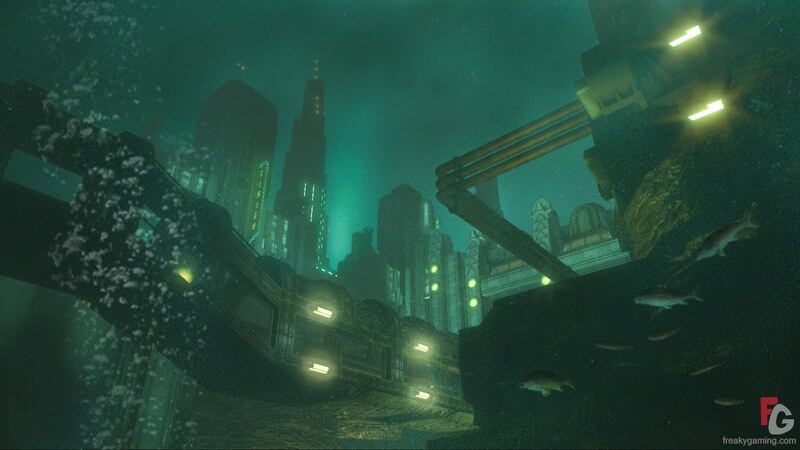 It may be one out of hundred who really would like to live disconnected from the surface, producing oxigen from the seawater wandering submerged and separated from mankind trough the worlds oceans, captain nemo style. The handling of a submarine yacht requires no "classic seamanship" it is as simple as pointing the bow in the direction you want to go - no special consideration of climate, wave conditions, the submarine ambient is a constant ambient with very little changes. 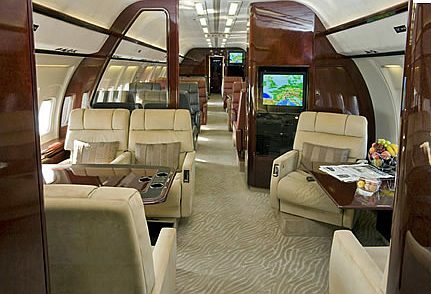 It is like going in a business jet but without the pumps and airtraffic considerations. 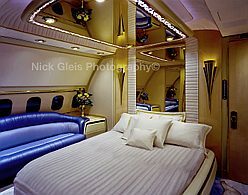 Using a submarine yacht could open a lifestyle similar to a business jet owner - you could travel worldwide, take your office and comfort with you. 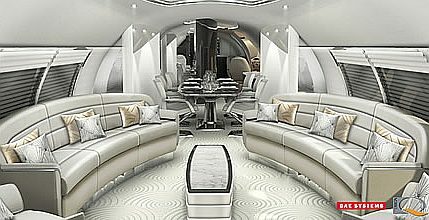 In fact the interior design of a submarine yacht would be in most aspects very similar to a big business jet as both vessels are basicly tubular pressure resistant structures. Elegant interior design in a tubular vessel. The most important difference is in the cost of the vessel a submarine yacht is much more economic to build and maintain. 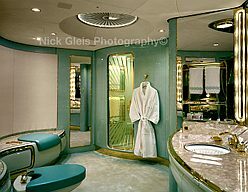 While business jets are limited to light panels, a submarine yacht interior design can also include heavy items like a jaccuzzi. A typical question that we get when talking about the captain nemo float out is : Where do i sit on deck and watch the sunset ? This question shows that people imagine that just because your yacht is a submarine - you are confined to live submerged all the time. The picture shows that the contrary is true. 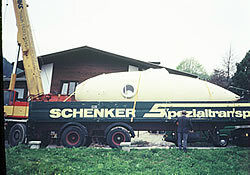 The deckspace of a submarine is as big - if not bigger - as a yacht of a similar size would have. Our experience with the prototypes indicate that the crew will prefer to travel submerged (in snorkel mode) and keep the coffee cup on the table all the time. 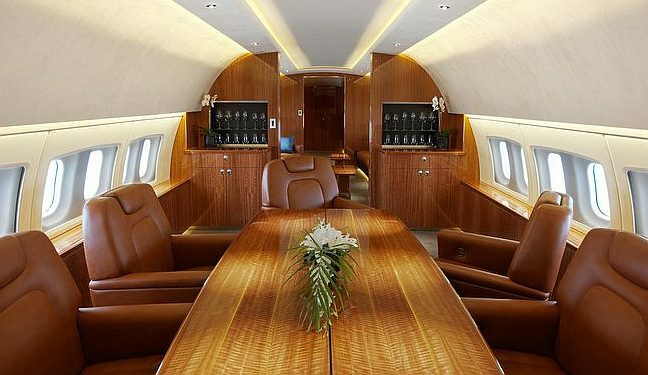 Traveling comfortable and steady with no interruption of work and comfort is not possible in small yachts - but it is possible with small submarines. Nevertheless the "traditional seaman" who loves spray in the face and wind in the hair can still enyoy it - as an option of choice - navigating on the surface in choppy seas. ... running a diesel 24/7 is not cheap, even if it is the smallest diesel you can find. The beauty of a snorkel boat concept is in the fact that your diesel can be very small - much much smaller than anything that a surface ship of similar size could have. In a surface ship the diesel needs to be strong enough to bring the bow into the wind during a storm. In a snorkel boat the diesel just has to overcome the windforce created by the sail area of the snorkel. 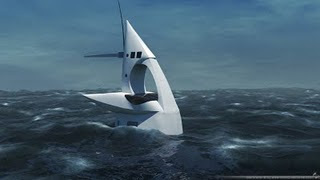 The crew of the Ben Franklin was the first to stay in open ocean in a small boat without beeing afected by waves and seea sickness - this leads to the submerged living bubble concept as first choice for colonizing the open oceans with small scale structures. The fact that oceanic waves move structures makes comfortable stay in open ocean only feasible for structures and platforms in excess of 100m loa and 40m beam - there is only one way to stabilize a small living space in open ocean to "permanent housing comfort grade" - submerge it like Ben Franklin. Once you achive housing comfort in the open sea - the need to stay in the marina that ties all small yachts- is gone. A real worldwide nomadic lifestyle can be created. Worldwide oceanic traveling - just like a whale - is born as human lifestyle - featuring indedpendence - featuring comfort - and featuring "off the grid livestyle" as far as it can go. 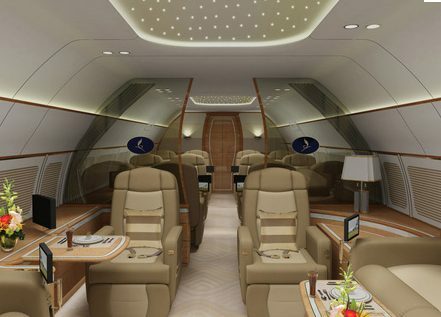 It is affordable compared to other solutions (business jets, mega yachts) energy efficient (factor 5 less energy need than a surface yacht) - breaking free of anybodies "jurisdiction", "government", and "travel restrictions". 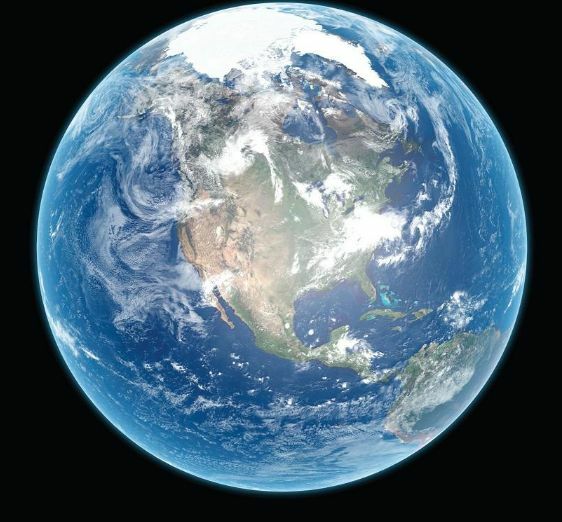 Oceanic global mobility for worldwide key players - in nature and in business... business centers always can be approached from the sea on our blue planet. 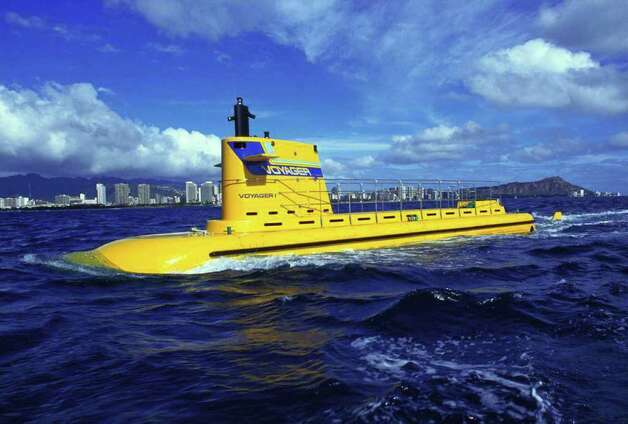 Other than a business jet, or a yacht that need to fit into existing "installations" (runways, marinas etc) The submarine yacht can stay a mile out at sea - still provide comfort (other than a yacht). 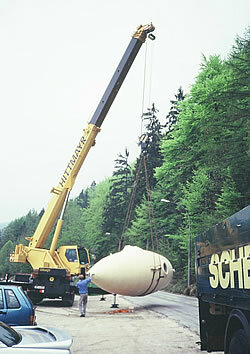 A submarine tunnel concrete shell tubular structure. / Rion Antriron bridge pylon 70m diameter. 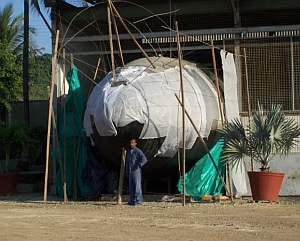 Oceanic concrete shells are prooven off the shelf technology. We took it a step further and made working submarines out of it. 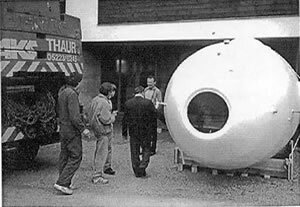 Capain Nemos Motto - predicted that kind of lifestyle ... "moving amidst mobility", "moving within the moving element", or "changing in the changes"
To get a closer view how Captain Nemo as a aquaculture pro would live and work, see Neil Sims and ocean cage real world testing. Neil Sims presenting a productivity for a drifting cage that outranks traditional aquaculture. He also presents the downside of using a surface ship " the oceans incredible capacity to break things". Finally he presents a thought for a possible solution: Run the operation completly submerged and "out of reach of the ocean waves" like a "space station". 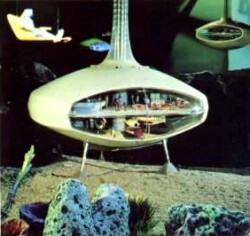 It would allow to have a lifestyle that is somewhere halfway between a yachtie, the moken, and captain nemo. It would allow to paricipate in existing yachting, use existing harbor and boating infrastructure when available. But on the long run it would work best as mobile complement of oceanic cities as proposed by seasteading. This Week in Diving History -- July 14, 1969 -- BEN FRANKLIN (PX-15) begins gulf stream drift diving mission. 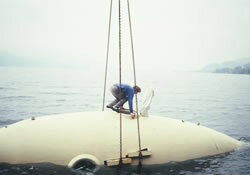 This Week in Diving History -- July 14, 1969 -- BEN FRANKLIN (PX-15) begins gulf stream drift diving mission. 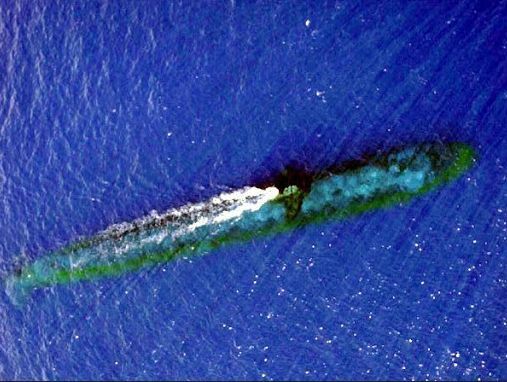 July 14, 1969 8:56 P.M. -- The Ben Franklin (PX-15) subsurface research vessel left surface off Palm Beach, Florida on a 30-day drift mission in the Gulf Stream with a crew of six. Its final destination would be 1500 miles north off of Yarmouth, Nova Scotia. The vessel was named in honor of Benjamin Franklin who recognized, publicized and named the current "The Gulf Stream" in 1770. Its Mission: to investigate the secrets of the Gulf Stream as it drifted northward at depths of 600-2,000 feet; to learn the effects on man of a long-duration, closed-environment stressful voyage; to demonstrate the engineering-operational concepts of long term submersible operation; and to conduct other scientific oceanographic studies. 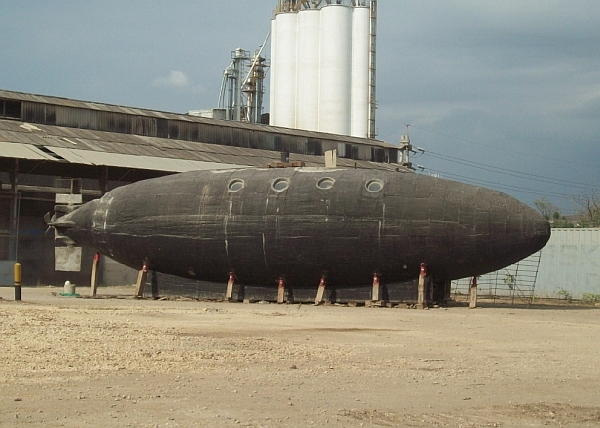 This mission would be the longest privately-sponsored undersea experiment of its kind. It ended more than 30-days (and 1,444 nautical miles) later, when the Franklin and its crew of six surfaced some 300 miles south of Halifax, Nova Scotia on August 14, 1969 at 7:58 A.M. This was and remains an unparalleled feat -- no other mesoscaph has gone for a more extended or deep drift type mission. All that being said; here is why many have likely never heard of it. The Ben Franklin was greatly overshadowed by the Apollo 11 man on the moon mission that was launched only two days into the Franklins historic mission. Ben Franklin made a few more dives after 1969, including the first deep-sea dive for Dr. Robert Ballard, the discoverer of the wreck of the Titanic. Dr. Ballard said he has fond memories of the Franklin, as its large size and comfortable bunks gave him his best "sleep in the deep." 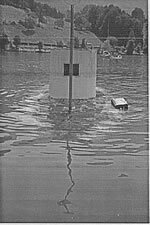 Usually, submersibles are small, cramped and you spend hours in contortions with cold water from condensation dripping on you. Recently, the Ben Franklin was overhauled and preserved to be displayed at its final resting place where it proudly sits at the Vancouver Maritime Museum. The following is an excerpt from the documentary "From Sea to Shining Sea" narrated by Walter Conkrite; regarding the Ben Franklin and its place in history: "Timing is everything. In the summer of 1969, within one day of each other, two courageous crews set out to explore new frontiers. Both were missions of pure discovery. One would go to the Sea of Tranquility, the other to the massive eastern boundary current known as the Gulf Stream. One would completely obliterate the other in the world's awareness. For eight days in July, the world looked skyward, transfixed, as Apollo 11, with three astronauts aboard, rocketed to the Moon. No one noticed the launch of PX-15. 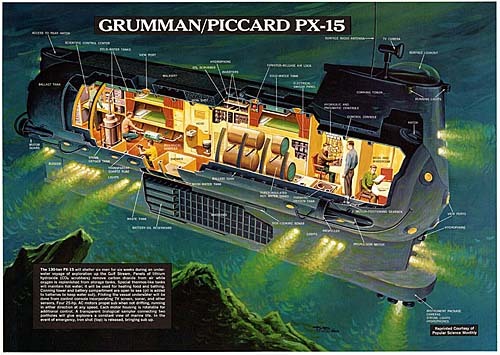 Manned by six brave aquanauts, the mission of PX-15, in the mesoscaph Ben Franklin, endured a perilous 30 day, 1400 mile drift-dive deep in the Gulf Stream. Though regarded as an analogue to prolonged missions in space, it was little remarked and all but forgotten at the time. The achievements of Apollo 11 have since become a celebrated event in human history; the astronauts are American heroes. The achievements of PX-15 and her crew were never noticed, and remain in oblivion. While the world looked up toward the Moon as the Eagle tracked over the rugged terrain of the Moon and landed, the 50' Ben Franklin was drifting at 1200 feet, 40 feet off the bottom of the Continental Shelf, taking stereoscopic pictures of equally rugged terrain. While the astronauts walked and worked on the Moon nearly 240,000 miles away, the aquanauts carried out their mission under crushing pressures between 800 and 2000 feet deep in the ocean. 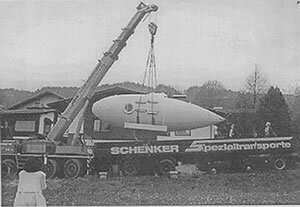 The danger to both missions and both crews was extreme, with little margin for error and very little hope of recovery in the event of an accident or emergency. Yet, one returned to the accolades of an adoring world, while the other returned to the notice of almost no one. The coincidence of the Apollo 11 moon mission and the Ben Franklin Gulf Stream Mission in 1969 is a strange and rare historical event, one that involves two of my favorite subjects - space and ocean exploration." - Walter Conkrite Within a few years, the frontiers explored by Apollo 11 and PX-15 were abandoned and a golden age of human exploration came to an end. Sending something into the unknown has now largely replaced sending someone. As you hear about the 40th anniversary of the Apollo 11 moon landing, keep in mind the contributions of the Ben Franklin. It is possibe to build the nautilus and create a working yacht on base of that layout. It would not be very streamline efficient due to the crests and the "nemo eye" but still a viable shape for a submarine yacht. Nautilus was 70m loa and 8m beam (according to Jules Vernes novel) . 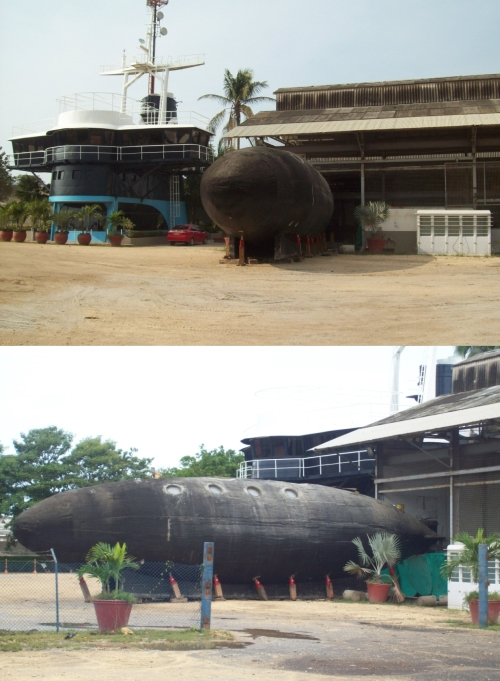 The deck and the dinghy storage solution of the film version are a quite realistic setup for a submarine yacht. 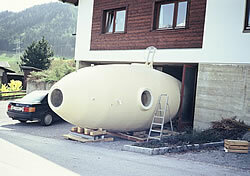 Sealab - a submerged living space bubble (in this case not very mobile) as habitat for divers with a underwater lockout. When the hatch is closed nobody can access the interior of a submarine . Nor break into the thick hull with any reasonable means. 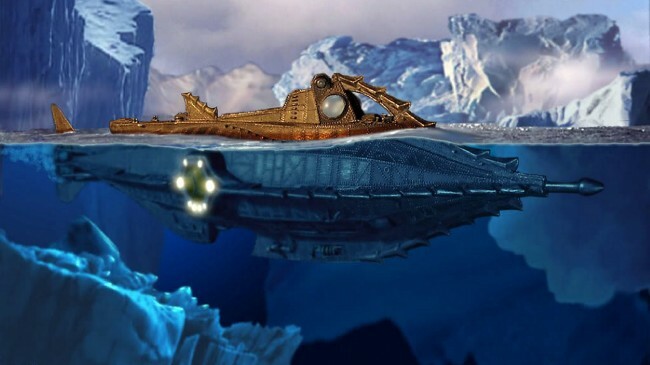 The Nautilus is the fictional submarine featured in Jules Verne's novels: "Twenty Thousand Leagues Under the Sea" (1870) and "The Mysterious Island" (1874). 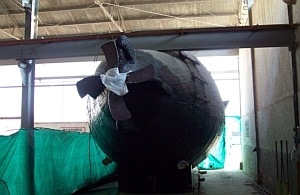 Verne named the Nautilus after Robert Fulton's real-life submarine "Nautilus" (1800). 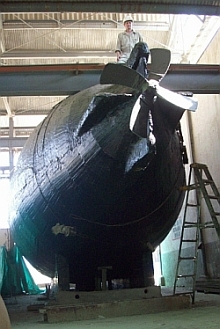 Three years before writing his novel, Jules Verne also studied a model of the newly developed French Navy submarine "Plongeur" at the 1867 Exposition Universelle, which inspired him for his definition of the "Nautilus". The Nautilus is described by Verne as "a masterpiece containing masterpieces." It is designed and commanded by Captain Nemo. 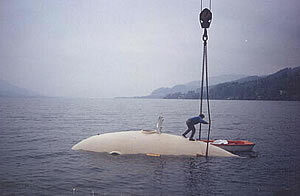 Electricity provided by sodium/mercury batteries (with the sodium provided by extraction from seawater) is the craft's primary power source for propulsion and other services. 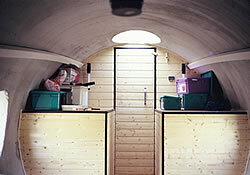 The Nautilus is double hulled, and is further separated into Water-tight Compartments. Its top speed is 50 knots. Its displacement is 1,356.48 French freight tons immerged (1,507 submerged). 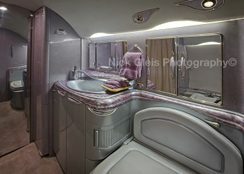 The interior design of a modern nautilus would be the same as a business jet. 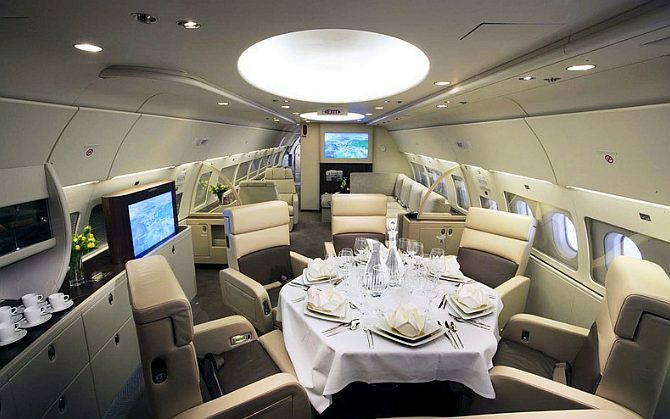 Submarine yachts and business jets are both "tubular pressurized structures with built in housing comfort". 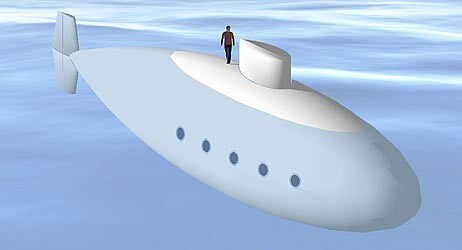 The good news is that a submarine yacht is by far more economic to own and absolutly "grid independent". 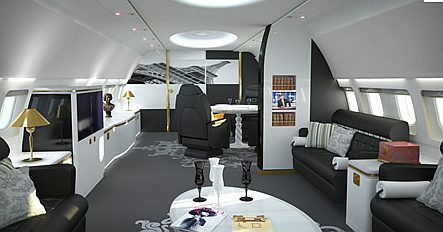 The interior design of a submarine yacht is similar to a modern business jet. Just recently we heard that ↵the mash still is safe and sound at the Smithsonian—now there’s even more comforting news. 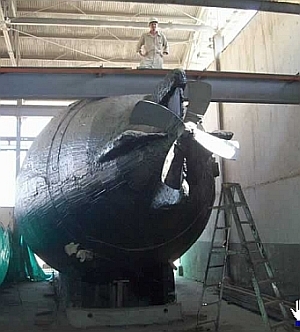 The original model of ↵Captain Nemo’s submarine ‘Nautilus’ designed by ↑Harper Goff and used in ‘↑20,000 Leagues Under The Sea‘ by Richard Fleischer (1954) is kept intact ↑at the Disney Archives. In order to keep pace with growing global demand for seafood, marine aquaculture will have to expand. The vast majority of mariculture is conducted in protected embayments and estuaries, where farm effluent accumulation and interactions with wild stocks can cause environmental disruptions. To produce marine fish on the scale required by global demand, there is only one real solution: mariculture must move further offshore, into the deeper waters of the open oceans. Here, the tremendous assimilative capability of the sea is in full effect, potentially allowing a responsible mariculture operation to produce delicous, healthy fish with virtually no negative impacts to the ocean environment. With the Velella Project, Kampachi Farms and its partners are taking the lead in the development of technologies to support true open-ocean mariculture. Named for a genus of small drifting pelagic hydrozoan, the Velella Project is the world's first "beta-test" of an unanchored free-drifting oceanic fish culture system. The Velella array consists of a 132 cubic meter brass-netted Aquapod® net pen produced by Ocean Farm Technologies, of Maine attached by a combined towing/umbilical line to the 65-foot staysail schooner S/V Machias, which serves as the farm tender, dive platform, crew quarters, and operations center. By drifting on the ocean currents in waters two to three miles deep, the Velella is essentially "perpetually fallow", with no direct connection between the seafloor and the farm. No build up of effluent, no impact to wild stocks -- just clean fish growing in clean water. 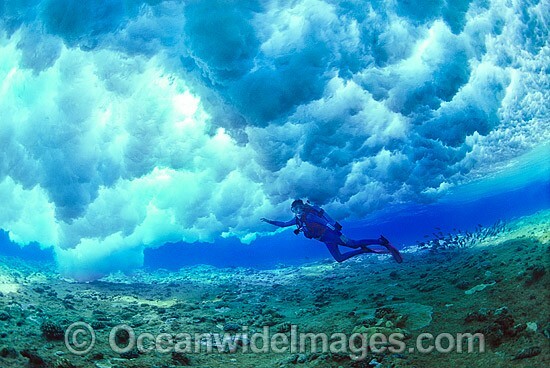 In May 2011, the Velella was deployed from the harbor at Kawahihae, Hawaii into the open ocean West of Hawaii Island. In July 2011, the Velella was stocked with around 2,000 Kampachi fingerlings. These fish, the first ever raised in a drifting pelagic farm, accheived outstanding health and growth performance, reaching the usual harvest size by December, 2011. Roughly half of the fish were harvested to reduce the density inside the cage, and the remainder were harvested in mid-February 2012. In addition to proving the feasibility of farming fish in the pelagic environment, the Velella has been used by Kampachi Farms and project partner Lockheed-Martin as a test platform for various supporting technologies. Ranging from automated feeder systems and robotic cage cleaners to satellite communications, these are the innovations that will be necessary make commercial-scale open ocean farming a reality. The next phase of Velella research will focus on replicating the outstanding biolgocial results of the drifter trial while using a single point mooring (SPM) system to facilitate the further development of automation and remote control technologies. By building on this sucessful research, and pioneering the permitting pathway for such operations with U.S. government agencies, Kampachi Farms will lead the push of next generation mariculture over the blue horizon. It is obvious that the combination ROV / submarine platform has great advantages compared to surface ship based salvage missions. Submarine deployment is weather independet while surface missions frequently loose 90% of the expediton time to bad weather and cable spooling. 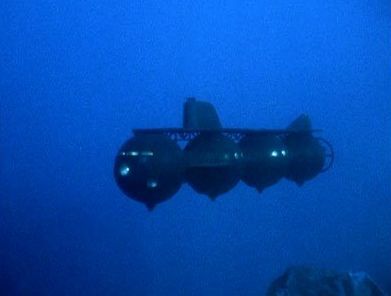 The technology of deploying ROVs from a submarine was later refined by James Cameron on the Titanic. Where he deployed ROVs from small subs like MIR and Alvin. Depending on the mission the ROV can have sonar, camara, arms, or suction device functions for recovering objects.